Here is a quick overview of what your users can and cannot do based on their roles. mHelpDesk allows you to assign each user a role, in which you can then enable and disable features for the entire group. 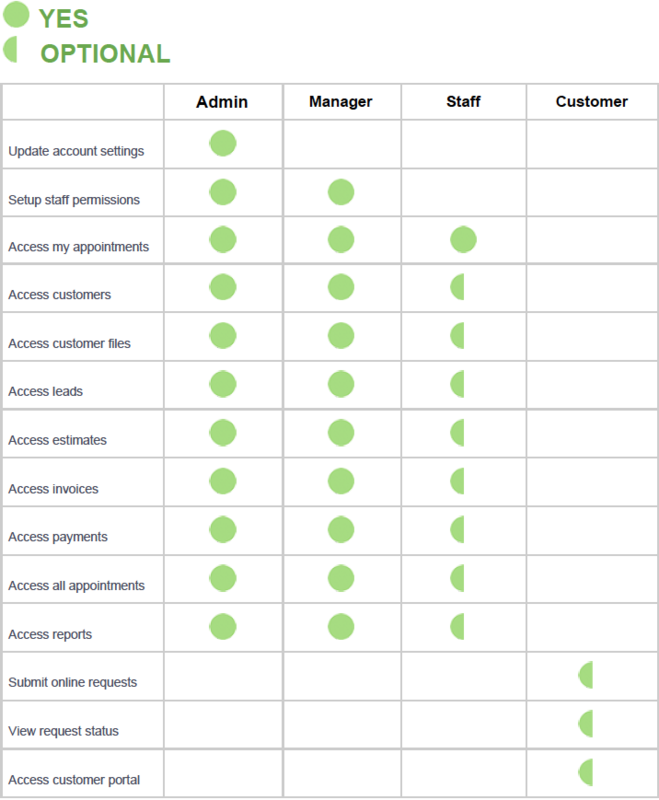 This makes it easy to manage permissions across your entire organization, eliminating the need to manage individual permissions.